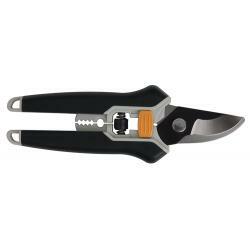 The Long Blade Micro Pruners have long, straight, stainless steel blades to prevent rusting and are easy to sterilize. The handles have comfortable rubberized sides that improve gripping power. 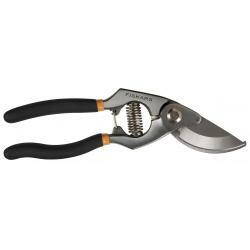 The pruning shear tips are narrow and long so they fit into dense foliage or hard to reach foliage without damaging plants. 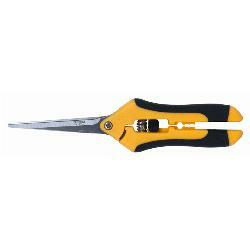 Overall length is 7.5"
Easily cuts limbs up to 1" diameter. This tool features a replaceable, non-stick, carbon steel blade, a self-cleaning sap groove and a resilient shock absorbing bumper. Blade tension is adjustable. Length: 9.2"
Hydro Flow Micro Irrigation Valve provides options for flow rate in your drip application. Fits snuggly to Hydro Flow 3/16" tubing.